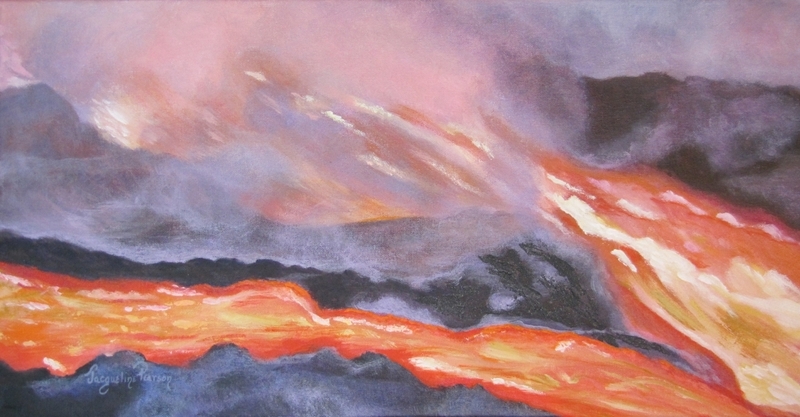 Hawaiian Islands' violent eruption of the Kilauea volcano and the resultant lava flow. It is a 12 x 24 acrylic on canvas. Framed in a black lacquered frame with an off-white linen liner that sets it off beautifully.